KEE was formed as a family run business back in 1955. Although the industry has changed significantly since then, KEE’s ‘family’ company culture continues to focus on ethical business values and an integrity and commitment to delivering high quality products and services to its customers. KEE’s specialist knowledge and expertise is derived from over 60 years’ experience in the development, design, manufacture, installation, servicing, maintenance, refurbishment and operation of wastewater treatment systems and equipment. Many of our customers today have been working with KEE for over 30 years which is a testament to the trust, loyalty and value our customers have in us as a supplier. KEE Engineers have decades of experience in maintaining of all types of sewage treatment equipment and pumping stations, providing peace of mind that your equipment is in safe hands. KEE operate to the highest standards of practice. We are BSI ISO 9001 Quality Management accredited in the commissioning, servicing, maintaining and operating of domestic and industrial wastewater treatment systems. Our Service Technicians are DBS checked and British Water accredited. KEE believes in creating the very best products to protect the environment. Our KEE designers undertake on-going research and development to continue delivering process and cost efficiencies using the very latest advancements in design technology. For example, this year we launched a new Tertiary Filter and UV light disinfection system for the KEE NuDisc-R® which offers superior wastewater quality discharge. KEE Engineers only fit genuine KEE approved parts, selected for their quality, durability and value for money. KEE’s annual ‘Maintenance Service’ includes a comprehensive 127 point checklist report, providing a full analysis of the electrical, mechanical and operational condition and performance of your plant. KEE’s Service Managers and Engineers offer professional advice on looking after your plant, controlling maintenance costs and avoiding expensive damage to your equipment. KEE design and undertake bespoke and standard plant refurbishments and upgrades, meeting the changing needs of our customers and the environment. KEE Services offer a range of maintenance, operation and breakdown services for all types of treatment plant and pumping equipment, from all manufacturers. KEE know that professional maintenance will extend the life of your plant and minimise the risk of serious damage and breach of environmental consents. Our nationwide team of directly employed regionally based KEE engineers are trusted by over 6,000 customers. So . . . whether you have a single, or multi-site operation across the UK, KEE can design and deliver a tailored service solution to meet your requirements and liaise with the Environment Agency on your behalf if required. This entry was posted in Desludging and Jetting Services, Fine Bubble Aeration, Grease Separation, Wastewater Plant Operation, Wastewater Primary and Final Settlement Tanks, Wastewater Treatment Plant Refurbishment, Wastewater Treatment Plant Servicing and Maintenance and tagged desludging, KEE Services upgrading a wastewater treatment plant, pump repairs, pumping equipment maintenance, RBC refurbishment and repairs, septic tank repairs, sewage plant servicing, Water Pumps Repairs on January 20, 2017 by Connellmarketing1234. KEE Services Ltd – offers maintenance, breakdown services and plant operation for all types of treatment plant and pumping equipment, from all manufacturers. 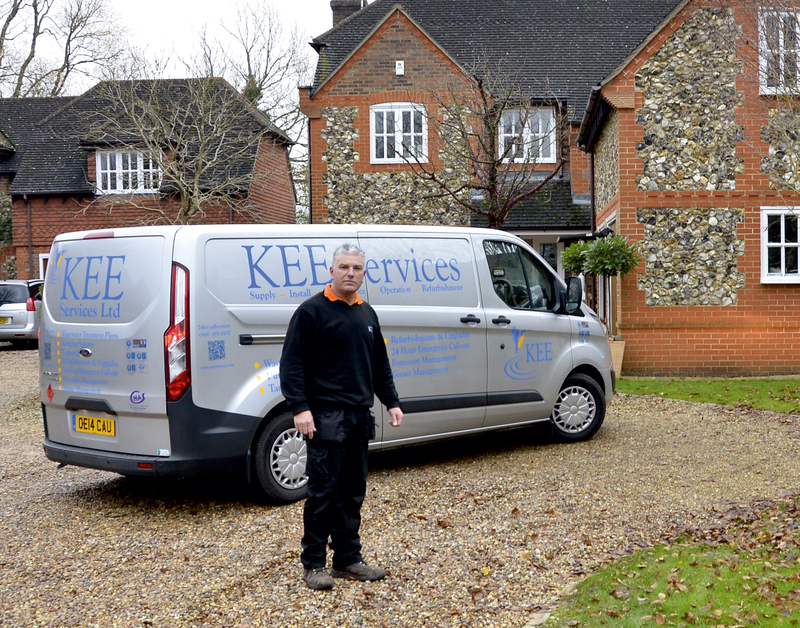 KEE technicians are trained in long-term servicing and look after 8,000 installations in the UK. KEE also operate ‘out-of-hours’ 24 hour call centre. KEE Wastewater Treatment Systems can be configured for BOD removal and/or nitrification and/or de-nitrification and can include a built-in or modular physical-biological tertiary filter. UV disinfection can also be included into the packaged plant to enable non-portable water re-use. Fixed Film Reactors: Rotating Biological Contactors (RBCs), Packaged RBC Systems, Moving Bed Biological Reactors (MBBR) and Submerged Aerated Filters (SAF). Suspended Growth Reactors: Extended Aeration, Sequencing Batch Reactor (SBR), Oxidation Ditch, IFAS process technologies and Anaerobic Biological Reactor (ABR) for high strength industrial waste. ‘Turn Key’ Solutions: Technical Design, Project Appraisal & Management, Process Engineering, Plant Installation & Operation, Equipment Refurbishment & Upgrades and Plant Rental. KEE also provide approved spares and ancillary products such as Final Clarifiers and Settlement Tanks. KEE Services Ltd specialise in maintenance & repair services for all makes and types of wastewater treatment systems & pumping stations. Our nationwide team of directly employed, regional engineers and technicians are KEE trained, DBS checked and British Water Certified. This entry was posted in Desludging and Jetting Services, Grease Separation, Wastewater Plant Operation, Wastewater Treatment Plant Refurbishment, Wastewater Treatment Plant Servicing and Maintenance and tagged desludging, grease separation, Package Pumping Station, packaged waste water, pump equipment repairs, pump repairs, pumping equipment, pumping equipment maintenance, pumping maintenance, pumping station service, Rotating Biological Contactor (RBC), septic tank repairs, sewage plant operation, sewage plant service, sewage plant servicing, sewage treatment plant maintenance, sewage treatment plants, sewage treatment repairs, wastewater treatment, wastewater treatment equipment, wastewater treatment plants, wastewater treatment solutions, Water Pumps Repairs on October 12, 2016 by Connellmarketing1234. 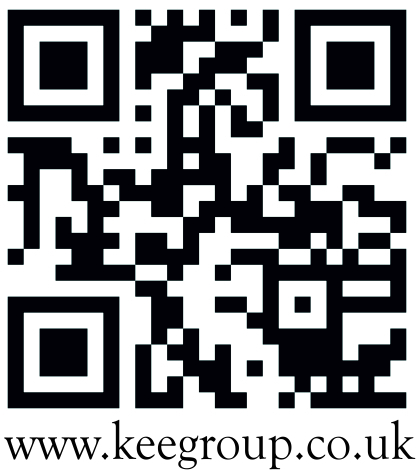 KEE Bio-Guard, the biological solution against Fat, Oil and Grease (FOG). The Biological Solution against Fat, Oil and Grease. KEE Bio-Guard is the biological alternative to prevent blocked drains, offensive smells and maintenance of grease traps. This entry was posted in Desludging and Jetting Services, Grease Separation and tagged desludging, grease separation, Package Pumping Station, packaged waste water, pump equipment repairs, pump repairs, pumping equipment, pumping equipment maintenance, pumping maintenance, pumping station service, Rotating Biological Contactor (RBC), septic tank repairs, sewage plant operation, sewage plant service, sewage plant servicing, sewage treatment plant maintenance, sewage treatment plants, sewage treatment repairs, wastewater treatment, wastewater treatment equipment, wastewater treatment plants, wastewater treatment solutions, Water Pumps Repairs on October 12, 2016 by Connellmarketing1234. GRP Hopper Bottom Settlement Tanks – KEE produce a wide range of Structural or Semi-structural Hopper Bottom GRP Settlement Tanks for small wastewater treatment plants. This entry was posted in Wastewater Primary and Final Settlement Tanks, Wastewater Treatment Plant Refurbishment, Wastewater Treatment Plant Servicing and Maintenance, Wastewater Treatment Process Technologies and tagged desludging, grease separation, Package Pumping Station, packaged waste water, pump equipment repairs, pump repairs, pumping equipment, pumping equipment maintenance, pumping maintenance, pumping station service, Rotating Biological Contactor (RBC), septic tank repairs, sewage plant operation, sewage plant service, sewage plant servicing, sewage treatment plant maintenance, sewage treatment plants, sewage treatment repairs, wastewater treatment, wastewater treatment equipment, wastewater treatment plants, wastewater treatment solutions, Water Pumps Repairs on October 12, 2016 by Connellmarketing1234. KEE Microfloat® Dispersed Air Floatation Technology – for pre-treatment of industrial and food processing wastewater to reduce FOG, BOD, COD & SS. The KEE Microfloat® system produces extremely fine bubbles (10µm to 50µm air bubbles without the use of a high-pressure pump, pressure vessel and venturi) into the water to float the light fractions. This entry was posted in KEE Aeration Systems, Wastewater Plant Operation, Wastewater Treatment Plant Refurbishment, Wastewater Treatment Plant Servicing and Maintenance, Wastewater Treatment Process Technologies and tagged desludging, grease separation, Package Pumping Station, packaged waste water, pump equipment repairs, pump repairs, pumping equipment, pumping equipment maintenance, pumping maintenance, pumping station service, Rotating Biological Contactor (RBC), septic tank repairs, sewage plant operation, sewage plant service, sewage plant servicing, sewage treatment plant maintenance, sewage treatment plants, sewage treatment repairs, wastewater treatment, wastewater treatment equipment, wastewater treatment plants, wastewater treatment solutions, Water Pumps Repairs on October 12, 2016 by Connellmarketing1234. KEE Triton Aerator/Mixer – The KEE Triton is an energy efficient, dual mode mixer/aerator processor that is capable of nitrification and de-nitrification in one unit. With two propellers and a regenerative blower, the Triton is able to operate either as an anoxic mixer or an aerator/mixer for basins up to 10m deep. The Triton can introduce vital mixing, supplemental aeration or aeration system upgrade to revitalise existing activated sludge treatment plants configured as extended aeration system in circular or rectangular tanks or oxidation ditch configuration to improve plant performance or increase capacity or save energy. Aeration system upgrade does not require plant decommissioning. This entry was posted in Fine Bubble Aeration, KEE Aeration Systems, Wastewater Treatment Plant Refurbishment, Wastewater Treatment Plant Servicing and Maintenance, Wastewater Treatment Process Technologies and tagged desludging, grease separation, Package Pumping Station, packaged waste water, pump equipment repairs, pump repairs, pumping equipment, pumping equipment maintenance, pumping maintenance, pumping station service, Rotating Biological Contactor (RBC), septic tank repairs, sewage plant operation, sewage plant service, sewage plant servicing, sewage treatment plant maintenance, sewage treatment plants, sewage treatment repairs, wastewater treatment, wastewater treatment equipment, wastewater treatment plants, wastewater treatment solutions, Water Pumps Repairs on October 12, 2016 by Connellmarketing1234. Extended Aeration (EA) and Sequencing Batch Reactor (SBR) – KEE Process EA and SBR systems can be packaged or customised to suit domestic and industrial wastewater. The customised plants are modular construction enabling phased construction and extensions as flows and loads increase. Plants can be readily adapted for nutrients removal (nitrogen or phosphorus). This entry was posted in Fine Bubble Aeration, Wastewater Treatment Plant Refurbishment, Wastewater Treatment Plant Servicing and Maintenance, Wastewater Treatment Process Technologies and tagged desludging, grease separation, Package Pumping Station, packaged waste water, pump equipment repairs, pump repairs, pumping equipment, pumping equipment maintenance, pumping maintenance, pumping station service, Rotating Biological Contactor (RBC), septic tank repairs, sewage plant operation, sewage plant service, sewage plant servicing, sewage treatment plant maintenance, sewage treatment plants, sewage treatment repairs, wastewater treatment, wastewater treatment equipment, wastewater treatment plants, wastewater treatment solutions, Water Pumps Repairs on October 12, 2016 by Connellmarketing1234. Moving Bed Biological Reactor (MBBR) / Integrated Fixed Film Activated Sludge (IFAS) – For new installation, upgrade of existing plants to increase capacity or performance or for temporary plants to relieve plants for remedial works. All plant configurations include patented AGAR® technology with unique double roll aeration pattern for media mixing and media retaining screen cleansing. KEE PROCESS LIMITED and KEE SERVICES LIMITED – are BSI Certified Companies (IMS, QMS, OHS & EMS) offering domestic and industrial wastewater treatment solutions using RBC, SAF, MBBR, IFAS, Activated Sludge Process Options (Extended Aeration, SBR, Oxidation Ditch) and enhanced Customer Support by providing on-site service, maintenance and lifetime operation of the KEE Treatment Systems and/or those supplied by others. Their expertise in design, manufacture, servicing, maintenance and operation of equipment for all types of wastewater treatment plants is backed by over 60 years’ experience and over 350,000 installations worldwide. This entry was posted in Wastewater Plant Operation, Wastewater Treatment Plant Servicing and Maintenance, Wastewater Treatment Process Technologies and tagged desludging, grease separation, Package Pumping Station, packaged waste water, pump equipment repairs, pump repairs, pumping equipment, pumping equipment maintenance, pumping maintenance, pumping station service, Rotating Biological Contactor (RBC), septic tank repairs, sewage plant operation, sewage plant service, sewage plant servicing, sewage treatment plant maintenance, sewage treatment plants, sewage treatment repairs, wastewater treatment, wastewater treatment equipment, wastewater treatment plants, wastewater treatment solutions, Water Pumps Repairs on October 12, 2016 by Connellmarketing1234. Modular packaged Single Piece EnviroSAF treatment systems – The KEE EnviroSAF (Submerged Aerated Filter Reactor) for aerobic biological treatment as a single piece compact or modular system. The SAF plants are available as factory built units or on-site erected systems in concrete or glass lined steel panel tanks. Single piece NuDisc® NuDisc-R® packaged RBC treatment plants – Factory built self-contained packaged treatment system housed in GRP structural enclosure – Simple to install with minimal site work and suitable for small to medium flows of up to 100m3/day in single-piece configuration. Factory Built Packaged RBC Modules – Structural GRP enclosures up to 3m diameter and assembly on site-built concrete enclosure for Larger 3.66m and 4.5m diameter RBCs – Biological treatment stages for larger wastewater treatment plants in modular configuration with unique managed flow technology incorporated as standard. These modules are offered as factory built units in GRP tanks with covers or can be installed in concrete tanks built on site and are available in diameters up to 4.5m.